There is something kids find magical about outer space. It’s infinite stars, mysterious depths and hidden secrets seems to lure them. If you have a little astronomer in your home, you HAVE to know about the Perseid meteor shower. The Perseids always put on an incredible show, but this year’s show will be especially beautiful because it takes place around the same time as this month’s new moon on Aug. 14th. So the moonless sky will be ideal for spotting meteors. Between midnight and dawn on Aug. 11, 12, 13, and 14th. For best observing conditions, you will want to find the darkest skies possible, which means getting as far away from cities and towns as possible. If you live in an area where they’re hard to see or your little explorers cant keep their eyes open, NASA is offering a live broadcast beginning Aug. 12 at 10 pm ET and running through to 2 am, Aug 13. Nasa will also be answering questions on Twitter from anyone who sends their questions to @NASA_Marshall with #askNASA in the tweet. After watching the shower you can put together this fun Starlight Nightlight brought to by Disney Jrs Miles From Tomorrowland. 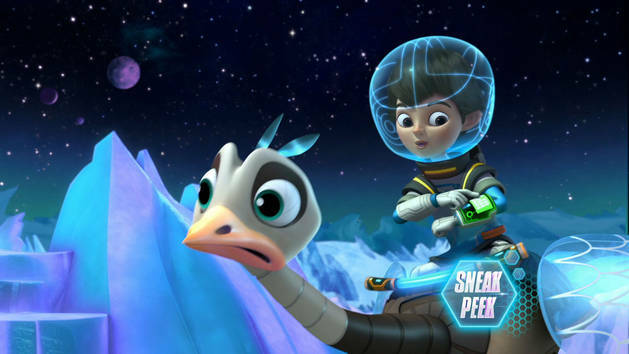 Disney Junior’s “Miles from Tomorrowland” is an intergalactic adventure that charts the outer space missions of young adventurer Miles Callisto and his family – mom and ship captain, Phoebe; mechanical engineer dad, Leo; tech-savvy big sister, Loretta; and best friend robo-ostrich pet, Merc – as they help connect the galaxy on behalf of the Tomorrowland Transit Authority. Miles, Merc and the Callisto family explore wondrous and diverse new worlds, taking young viewers and their families on a futuristic journey designed to fuel kids’ natural interest in space, and at the same time reminding them of the importance of what lies close to home – the family bond. Then just follow these 8 easy steps on your handy printable directions and ta-da! 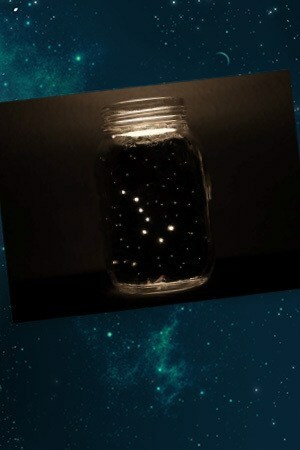 You’ve made a Starlight Nightlight. Join Miles, his family and his best friend and pet Merc on a super-galactic adventure – Miles from Tomorrowland: Let’s Rocket! This value-packed DVD includes the premiere episode plus 4 additional episodes, nearly two hours of fun! Plus FREE inside every DVD is an exclusive Clip-on Blastboard Flashlight that you can’t get anywhere else. Buy your little space explorer “Miles from Tomorrowland: Let’s Rocket” on Disney DVD on August 11th!